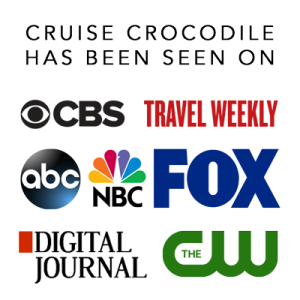 Our San Diego cruise port guide gives you information about the docking location, cruise dock, transportation options and much more! Welcome to the cruise port guide San Diego. 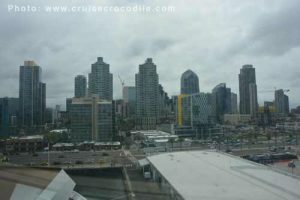 San Diego is a port of call often included in Panama Canal and Pacific cruises. It receives almost 100 cruise ship calls every year. It is California’s 2nd largest city and perhaps best known for its beaches, incredible weather and fun tourist attractions. Arriving in San Diego by cruise ship is a privilege. Your ship will pass the tip of Point Loma, enter the San Diego Bay and approach beautiful downtown San Diego. Be sure to keep those cameras ready. Read where your ship will dock in the San Diego cruise port guide underneath. This is the San Diego cruise terminal. In front of the hall you will find taxis and 5 blocks from here also public transportation. 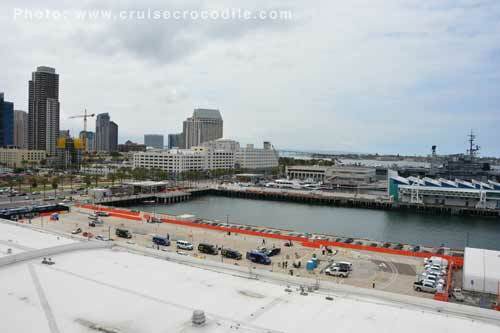 San Diego’s cruise terminal lies conveniently in front of downtown San Diego. Simply step off the ship and walk straight into town. The San Diego cruise terminal is well connected by public transportation. About 2 blocks from the ship you will find the San Diego – Santa Fe Depot. Check the amtrak.com and sdmts.com for the Amtrak, trolley and bus schedules. Check the map above for the exact location of the station. From the cruise terminal simply follow Broadway street towards the station. From port it is about a 10 minute taxi ride to San Diego International Airport. The taxi fare should be around 20 US dollars per taxi. Cruise ships can dock right near the downtown area of San Diego. This cruise port is designed as a turn around port which means it is great in handling large number of passengers. Read the full San Diego cruise port guide for all the information on transportation, taxis and what to see and do.